Dazzling the World from 2000 to 2010, Virender Sehwag was one of the best things to have happened to Indian Cricket. When you talk about match winners, Sehwag’s name is the first to come to mind. Only a few could hit the ball as hard as him, yet make the batting look so effortless. He scored at a pace incomprehensible in Test Cricket. The Nawab of Safdarjung was and is a phenomenon that will be hard to replicate on a cricket pitch. Cricketers come, make their individual records and leave. But only a few are fondly remembered after they retire. 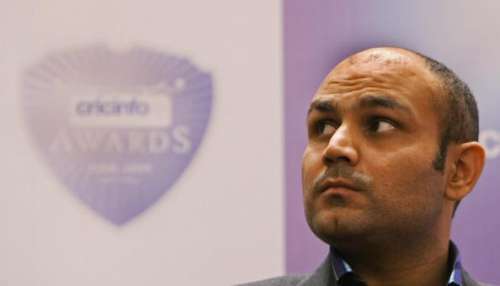 And certainly, Virender Sehwag, the man who revolutionized Test Cricket, will not be forgotten anytime soon. Viru Pa left behind a legacy, which we bring to you in the 5 reasons why he is missed on the cricket field. Only Sehwag could reach a milestone of 300 with a six! Sehwag’s batting approach was fearless; uninhibited. He showed valor in every delivery he faced. He put no curbs and limitations on his natural instincts. The opener, one of the best openers in fact, either played fearlessly, or give up on his wicket, there was no in between. Not only did Sehwag succeed, but his mammoth scores came with dash and panache, even against the most defensive bowling attacks. It was a heartwarming treat to watch him tame the bowlers during his innumerable number of outstanding innings, which he played with sheer audacity – a trademark of the batting legend. 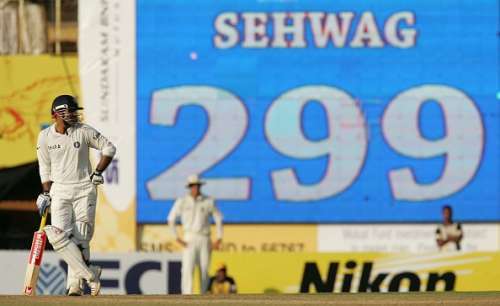 Only the fearless Sehwag could reach a landmark 300 with a huge six.